Happy Friday everyone! I have been holding out to wear these amazing leather overalls with the perfect accessories until this set of cat bags arrived at my door. They are my new favorite things and as silly as it sounds they make me happy! Swiss dotted chambray button up with matching swiss dotted tights, paired with buttery soft leather overalls and Miista Nia croc leather boots that I have been wearing to death. I would wear this outfit over and over! Leather overalls by Rehab from GoJane. 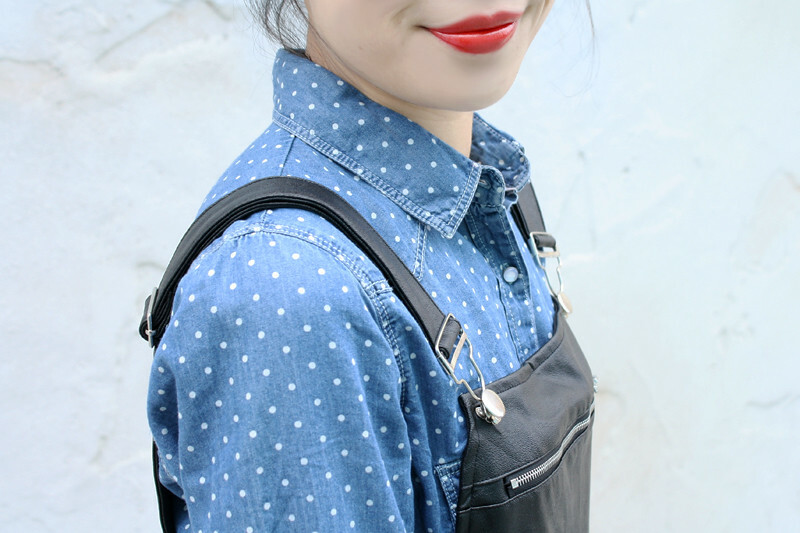 Swiss dotted chambray button up from F21. 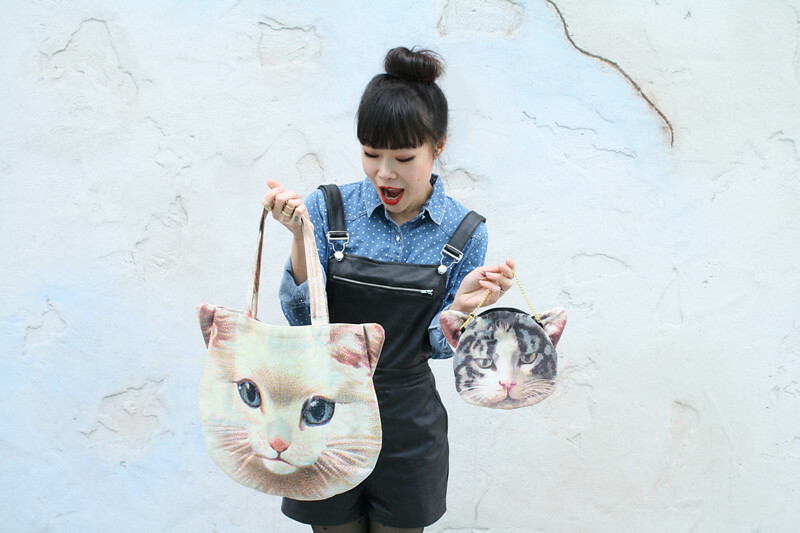 Cat bags by Ahcahcum Muchacha from Japan. Love EVERYTHING about this outfit! 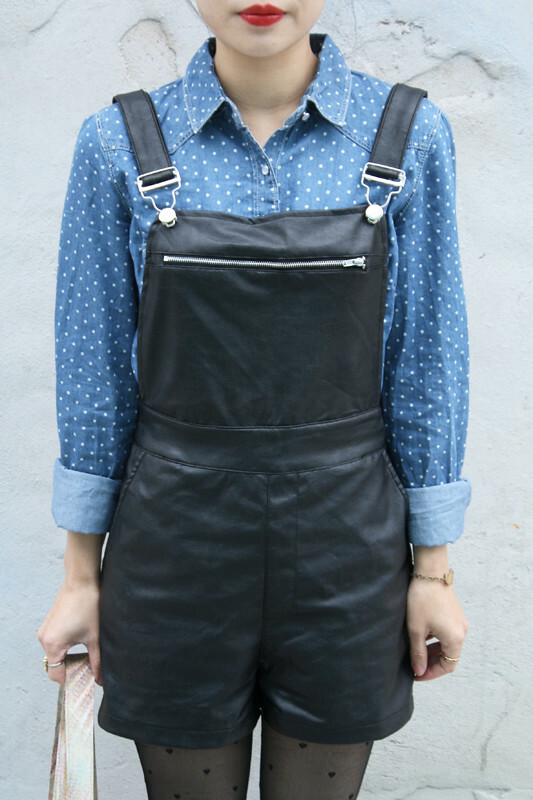 Definitely diggin' the leather overalls and your cat bags are just absolute perfection. 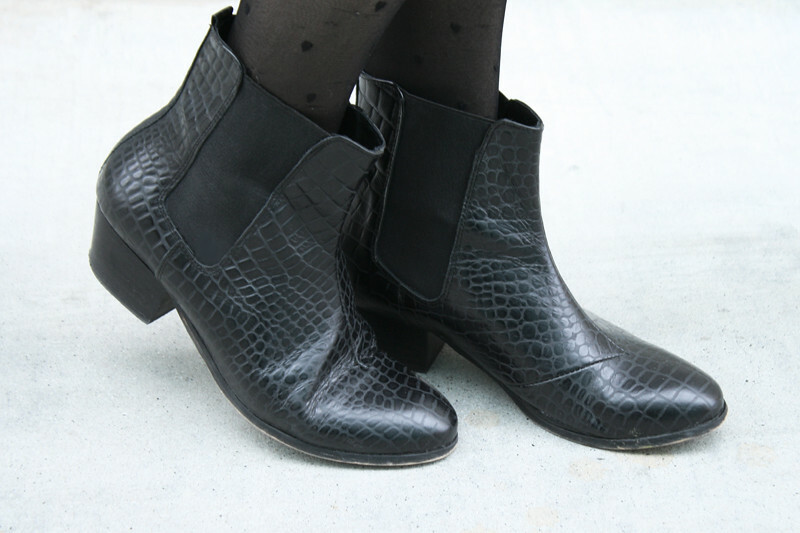 Just came across your awesome blog and I'm so glad I did; you have killer style. This is such a cute look! Just love this from head to toe! Super cute outfit! and I love your bags! OMG they're so cute! 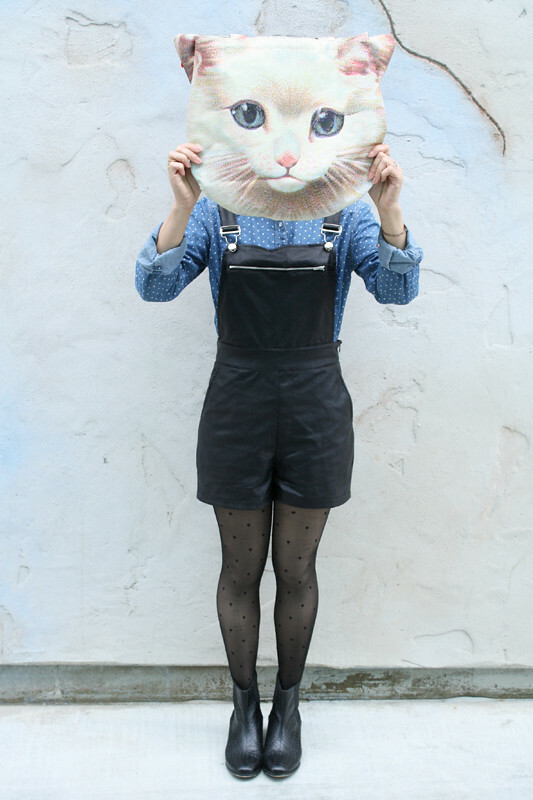 Love the leather overalls, and the cat bags are so cool. Recently I've been loving anything with cats on!